The new Ep is Tell the Truth. 1. Joel, judging from my familiarity with your previous work, I was expecting a barbed and unrelenting political diatribe, one with “teeth.”. Instead we’re treated to very restrained, almost gentle collection of songs. Explain! Tell the Truth ‘happened’ in the midst of recording the upcoming, big, full band studio album “The Last War”. We got done with the tracking for TLW, I took those songs back to my home studio and did additional work on them, but in the midst of that process, there were some songs that emerged that I quickly figured out were a different “thing”. The debut JTS EP was “Closet Songs I”, which I wrote and recorded in one week as an antidote to my procrastination problem. The idea of that one was, one mic, one guitar, in an actual closet in my home. One song a day, write it and record it. I ended up adding some textures on that, but all acoustic guitar. On TTT I ended up capturing what the late night sessions of writing on ideas (some songs are actually older, but had not yet found a home, while some are brand new) and exploring not only lyrically ‘risky’ areas but sonically as well. I think its pretty fragile and vulnerable, but in a different way that Closet Songs was. I open with “Liar” which is sort of a ‘laying bare’ the idea that, while on the record I explore themes of mortality, politics, fear, doubt, even sexual assault culture, I cannot even state with certainty my own purity of heart or motivation. I like to introduce “Liar” live as “the most honest song I’ve ever written”. But, to get back to the initial question. I think its interesting that the ‘barbs’ don’t come through more sharply. I actually feel like some of the songs have among the sharpest lines i’ve written, almost hard to perform live. Especially on “Boys will be Boys’ (based on experiences of women very close to me concerning the ‘ol boys club’ culture of campuses and corporate america), and on the closer “The Heretic”. That’s one that I actually think could get me in trouble in certain venues (lol!). But it just flowed. I see, though, how it could be heard at first as gentle, based on some of the arrangements. Its a weird record. Maybe the gentleness sensed is more of a woundedness- these songs have a theme of wounds – of being at a place where telling the truth is the only way for the wounded to find justice, but also the only way that those in power can realize their humanity – to admit their own wounds, their own fragility, their own mortaility. 2. The instrumentation is wonderfully sparse. Acoustic guitars with minimal treatments, keyboards supply melodic underpinning, a few drum loops and vocals. all giving way to a wearier vocal delivery. It’s a significant departure for you. Thematically, what were the truths you wanted highlighted here? What are your inner reference points here? Joel: So, musically I love understated arrangements. I love when you wait for that one little ‘bit’ in a song that only shows up once. I also felt that the songs demanded a fragile treatment – it should sound beautiful, but it should also sound like it could fall apart at any moment. So, a reference point for me, in the type of music I write will always be records like Jay Farrar’s “Terroir Blues”, just ones I listen to and think – ‘man, that’s a whole world created there, but its not “BIG”, its got a strong anchor, but its gutsy, weird, surprising, and takes some commitment to “get”. “Tell the Truth” is a very purposeful them. In the ‘post-truth’ era I wanted to dive deep (or, more accurately, I would say, it just kind of showed up that it was the theme) I wanted to explore what it was to tell the truth. First there is the willingness to say ‘i don’t know everything.. I could be wrong’ (Liar), then a spotlight on the courage it takes for someone who is victimized, never believed, and up against the odds to speak a truth to power (Boys will be Boys), “Laserbeams” is a transition – a moment of questioning one’s preconceived ‘truths’, wondering what is going to remain if that ‘truth’ is questioned, what are the repercussions? What remains? “Fragile” is a contemplation on mortality – once all is broken down, what do we have left? What still connects us? And then “The Heretic” is a post-script – what does one do when one must speak the truth even if it means losing everything? Inner reference points? Well, I’m not a “christian artist’ (I actually despise that term), but my reference point is Christ. What I mean is that I still try to refer to the one who always found himself among the broken, the lost, the failed, the abandoned, the loser, and spoke that good news to them – to us – ‘I see you – I know you – you are more than what you are called, what you are labeled, what you are seen as. Man, to me, there’s nothing else. But it has to be connected with the real, felt, experience of the wounded. I can give a few specific examples for this record — “Boys will be Bcoys” is directly connected to stories from women I know who were vicitmized by sexual violence. That violence affects every aspect of a person, including dignity and sense of worth. I believe Jesus is with the survivors of that and calls the perpetrators (including those who idly stand by and do nothing) to repentance. “Fragile” is very personal. I lost my sister in law, Naomi this year – a week from her 33rd birthday she succumbed to her battle with colorectal cancer. I also lost a dear friend, suddenly, at the beginning of 2017, to a heart attack – way too young, way too sudden. I believe Jesus is with the ones suffering, for whom pat “Christian” answers bring no relief. 3. The record has a rough hewed dynamic; as if the songs were written very quickly and then recorded as quickly, thus capturing a magic and instilling a sense of urgency. Am I onto something? The delivery and “work ethic” here seem to be part of the EP’s themes as well. Joel: Its interesting, because all but “The Heretic” were written and even performed for some time before the recording of them. In that way it is different that “Closet Songs”. The immediacy was more in the arrangement. “Hey, see what that Casio MT68 sounds like there — cool! Go with it!” Now -I’ll admit that, more than on other records, I did obsess a bit over some panning, effects, etc. But never in order to make a ‘clean record’. The idea was it to be weird, even unsettling at times, I guess.. Fragile is really the best word for it. I didn’t want it to be ‘guy with a guitar’ at all. I wanted to evoke a space different than that. So, except for “The Heretic” its a bit of fun with sound, within my very limited, very ‘indie’ home setting. 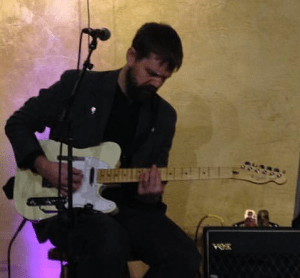 I mean, I’ll be honest – it was recorded on free Audacity software on a super old Mac, using a couple of mics, a keyboard legit from the 80s that my father in law gave me, and, well… of course my tele, vox, and martin. But its great fun to work within limits. I find it exhilarating. I’ve been encouraged by quite a few folks I really admire to try to never lose the sense of urgency – of capturing the take – of worrying less about perfection and more about the feel the ‘it’ of a song. I’m still learning. And what you hear on TTT is me pushing some of the boundaries of my own knowledge and equipment – so, I could listen back a few years from now and think “Oh, man! I wish I would have done that this way.. It would have sounded cleaner”or whatever…. But… I dunno… in the times we’re living in I just decided there’s no guarantee of anything.. And.. well.. Nothing new under the sun, so there never is… so go for it.. Try at least.. To tell the truth while you can. He’s fronted Athens, Ga’s guitar-pop darlings, The Lures. He’s written songs (some covered by Bonnie Raitt) with deep South/tried and true artists like Randall Bramblett. 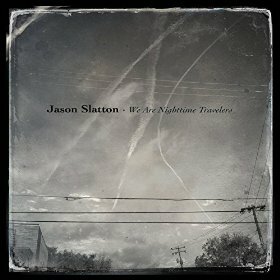 Now, he’s embarked on a solo career, with the release of “We Are Nighttime Travelers.” These days Slatton makes Birmingham, AL his home. 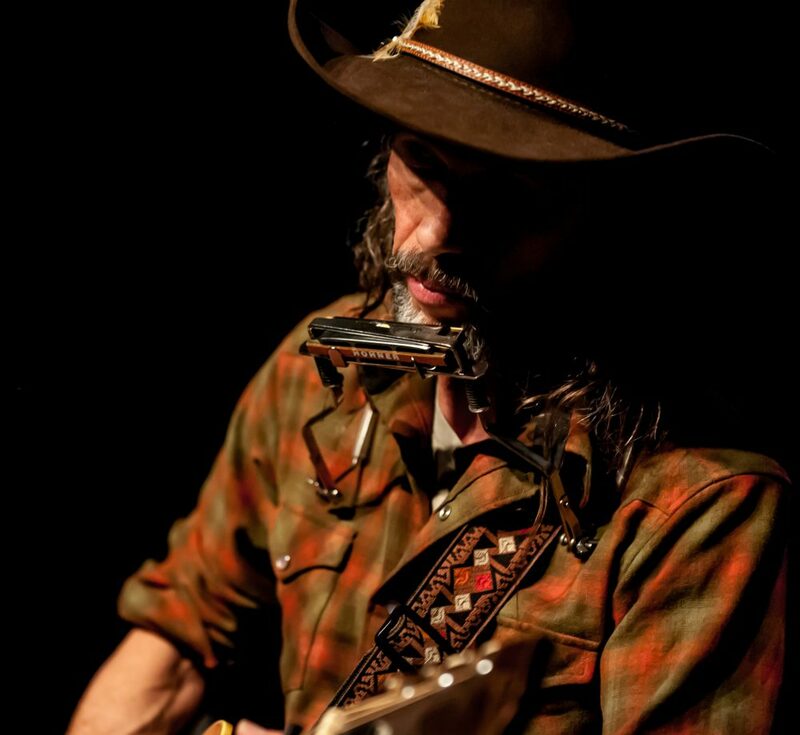 Inspired and nurtured by his wife, daughter and a growing community of friends, Mr. Slatton has written, recorded and released one 2015’s stellar recordings. I’ve known Jason for many years. He is a humble, insightful conversationalist who is thoroughly in love with rock and roll. I was lucky enough to steal some time with this literate, articulate songwriter and talk about his new album. First: Congratulations on the release of “We Are Nighttime Travelers.” It’s a beautiful and deeply rooted album. These songs strike me as snapshots where the characters in transition, often upheaval; trying to make sense of the moment or of the place where things have fallen for them. They typically seem a bit adrift. Agree? Disagree? Care to comment or elaborate? I think that pretty much crystallizes the whole record. I gave three copies to three different listeners while we were just post-mixing and thinking about sequence, and one of those listeners came back with a very apt summation. They thought the line from “And She Goes On” about “dismantling and then beginning” was the best summation for all the different avenues the album goes down thematically, and I couldn’t agree more. Transition, flux, a kind of chaos, periods of calm laced with moments of overwhelming restlessness: that’s been my experience in both looking at the past year of my life (with the birth of my daughter) and, really, the past ten or so years when I haven’t been nearly as active in the music world as I once was. You know, the idea that all the things you used to be are completely gone—you’ve moved away (figuratively and literally) from everything you once knew. Well, what are you now? Now that all the things you used to have to define yourself are gone, what’s left? I’ve thought about that a lot since I moved from Athens, and sometimes still do. I was adrift for a while. To some degree, in keeping with the metaphor, I’ve found some anchors. Great ones, actually: my wife and my child. But I’m attracted to characters like that, whether in fiction or song, etc., because more than anything, I’ve been those characters. So these kinds of voices and personas show up in the songs. Often, they’re not characters. They’re me. Even “Chet Baker,” which was very pointedly written to be both in first-person, and then in the last verse, third-person, is in places really just me (and probably, to some degree, Randall, since he co-wrote that one with me). Springsteen’s Tunnel Of Love album is a great example of this, too. There are many characters in the songs that make up that record, (and that record is all about the promise and responsibility of love and relationships), but there’s an air of unease—his eye is always on the door. It turns out that all those different personas on the album are just different versions of him. 2. Totally compelling. The stuff of a great song. Also, I love the way the catalyst to your character’s “enlightenment” is not fully disclosed. “Journalistic type” songwriters (I think anyway) often expect sheer fact of time, place and events to carry a song. They don’t lean enough on mystery. You’re the opposite. Your approach seems to be one of letting the more universalistic range of emotions, the ones we all share, to step upfront. I think it makes for a more powerful song. Is this something you’re aware of as you write or is it something that falls to you naturally? I think I’m inherently drawn to writers that can move, at times, away from the specifics and more fully explore the more “universalistic” emotions. Every time. I think Springsteen, again, is really good at playing both sides of the field, but even his specific narratives access universal emotions and themes: loss, loss of self and individuality, healing, pain, redemption, transcendence, etc. Some of the songs on …Nighttime Travelers are markedly specific. “Bloom,” for example, is absolutely my experience (and my wife’s), and I even use some verbal idiosyncrasies that are only ours, but I hope that it also communicates some ideas that we all can understand and experience. “Chet Baker,” very much that idea. “Ghosts,” too. Not to embarrass you, but your song “Certain Slant Of Light” has always struck me that way. Likewise with “Fight Song.” Though I’ve never been a boxer, I connect with that person speaking in that song, line for line. I think I’m aware of it more so in the editing process than in the moment of creation. I’ll write pages and pages of lyrics that at times are me more “emptying the barrel” than anything else. When I’m sifting through those pages looking for ideas that interest me, I think I become more aware of what I’m doing and how I’m editing. I’m on a massive Neil Finn kick right now where I’m listening to all of his solo work, and his Crowded House-era writing. He’s a master of getting oddly specific and then letting those specifics reach higher into the “we can all relate” type of song. God, he’s so, so good. And, in a narrative sense, I like songs that are at times more obfuscated and less didactic. I’ve listened to entire Vic Chesnutt albums with little idea what he’s talking/writing about specifically, but…there’s something at work there, what he might call “the tingle of euphoria / of total animation and of wonder.” That’s where the real magic happens, I think. Circling back, I ultimately don’t care if “Bloom” is understood by everyone or not. It’s for me, my wife, and one day, my daughter. That being said, if someone feels a bit of recognition or familiarity with it, then…great. 3. The playing on the record is great, the parts and arrangements never “get in the way” of the narrative. Kudos to producer Jason Hamric for excellent work. Was it easy, challenging or both to bring the songs to a band arrangement that offered more embellishment? First, I can totally identify with the “letting go” aspect of walking into a studio and letting the songs be deconstructed or moved in another direction. On these last few “desert records,” I may walk in with a collection of ideas and hopes for each song, but almost always I’m surprised at “where they end up.” I never really know how a record will turn out. They seem to take on a life of their own, which I’ve come to enjoy. I think the results on We Are The Night-Time Travelers are stupendous. Perfect ingredients: Great songs. Great band chemistry; Lots of variability, lots of emotional range. Q: Do you see recording in that manner in the future? By that I mean: Could you see yourself walking into a room with say 10 half-finished ideas and seeing where a band of your choosing would take them? Unequivocally: yes. That would be really interesting. I think the people who play on this record, who essentially comprise “the band” (Jason Hamric, Les Nuby, Janet Simpson-Templin) each brought very much their own “thing” to the recording(s), and what they brought in almost every single instance expanded and or completely altered my vision, and, going back to Hamric, he was terrific at knowing when to encourage that, and knowing when to step back a little. There’s a danger to recording elaborate demos and then thinking that you have to stay married to them. That happened quite a bit when I was actively writing/playing with Randall Bramblett. We’d work on demos, at times, almost with the same kind of focus that you might apply to a finished recording, i.e. one that you were aiming to release. It’s a little myopic, at least, I feel that way now. I know he does too, because when we write together these days, the results demo-wise are normally very spartan versions of the songs: chord changes, lyrics, melody, but with little more than an acoustic guitar to chart the song. On my own, I do that quite a bit now—meaning, if an idea arrives to me, I’ll very quickly record it with whatever’s available. Usually, this means my voice memo function on my phone—quite a far cry from the old days when I would actually fumble around with a Dictaphone, or if needed, I’d call my answering machine and sing into it. But, circling back to the answer/question: I think releasing yourself from your vision, particularly if you’re the “author,” is really, really smart. And it serves the song, ultimately, much more than it serves the ego. And that’s more important. I’d love to work with the same team again once I have enough songs to make up another record. 2. I can totally appreciate the notion of (to quote you) “ambient details” having an essential role in song craft. In my recordings, post-band, I realized that crafting a song was beginning to become more like a painting that didn’t give itself up on first viewing. There was no space or sonic “brush-stroke” that was un-important anymore. You mentioned Neil Finn, his solo and Crowded House work. as you said, he is amazing. I get the impression that, like him, you could lock yourself up in a studio once or twice a year, write and record a couple of records. An “emptying the barrel,” as you said above. Jason, you’ve cited the transition from solo/Athens music scene bandleader to married life with children in another town. In my experience, I think sometimes a “town-driven” scene floats on things unreal. It’s typically awaiting “the next big thing,” and often missing the tried and true, the growth an artist makes. So, in what ways do you feel transition for yours has deepened and expanded your “vocabulary” musically & thematically as an artist, as a human? Songs like Octobering come to mind.